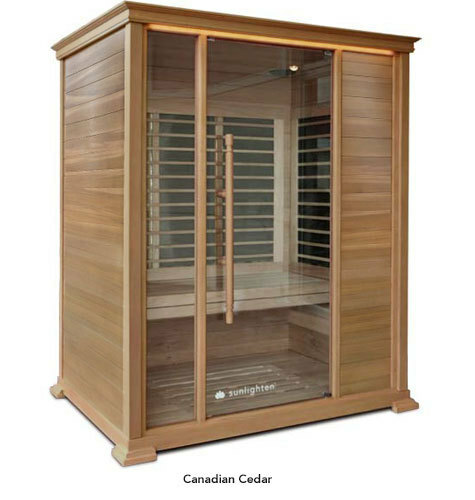 Share your infrared sauna experience or stretch out on your own in Sunlighten’s Signature III home sauna. The Signature III seats up to three people, with a comfortable, multi-function bench that can be removed to maximize room for stretching or yoga. Ten heaters deliver a variety of sauna benefits, including lowered blood pressure, detoxification, and weight loss, and a programmable timer allows you to ensure that your sauna is heated and ready to go when you are. The Signature III is built with commercial grade construction methods and features eco-friendly wood options available in both basswood and western Canadian cedar.